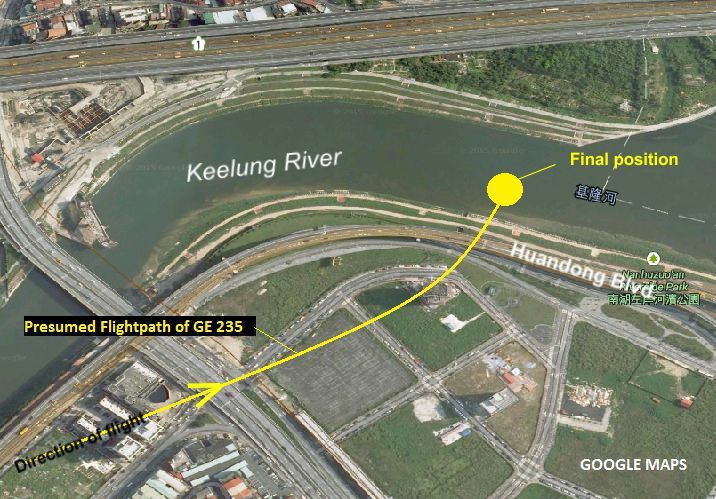 Transasia Flight GE 235 crashed into a river about 3 minutes after take-off from Taipei-Songshan Airport killing 43 persons. 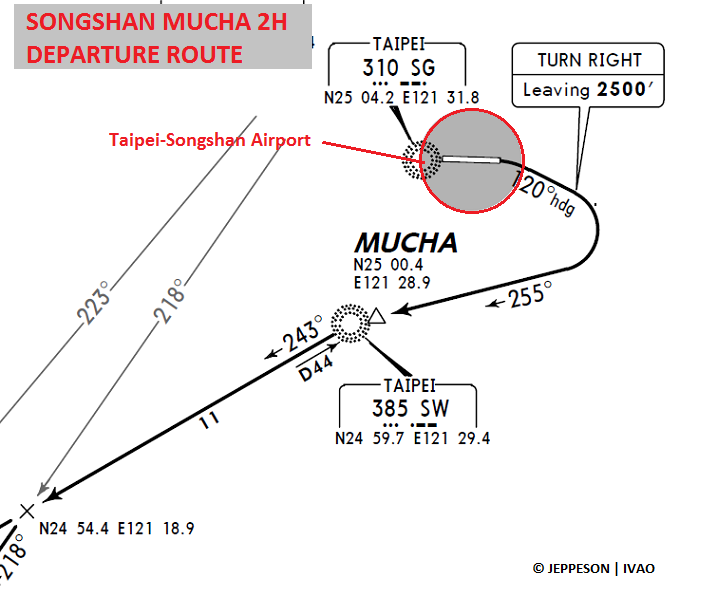 The ATR-72 departed from runway 10 at Songshan Airport for a scheduled domestic flight to Kinmen, via the MUCHA 2H departure route. Tower controller instructed them to change frequency to the departure controller, however there was no more acknowledgement or reply from GE 235. The aircraft turned right then left again entering a gradual descent until about 3 minutes after take-off when control was apparently lost. 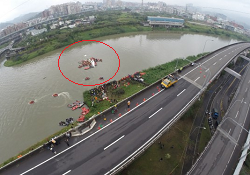 After barely clearing some multistorey houses about 2 miles east of the airport, the left wing drop sharply hitting a cab on Huandong Boulevard until it fell into the nearby Keelung River. The aircraft came to rest inverted and halfway submerged in the waters. The river has a depth of only 2-3 meters but there is fear that many passengers have drowned. The cabin quickly took water and many passengers were unable to evacuate after getting unconscious by impact forces. 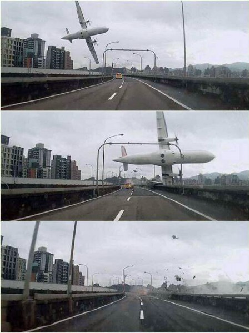 According an airline statement, 43 occupants have been killed in the accident, 15 are known to have survived. 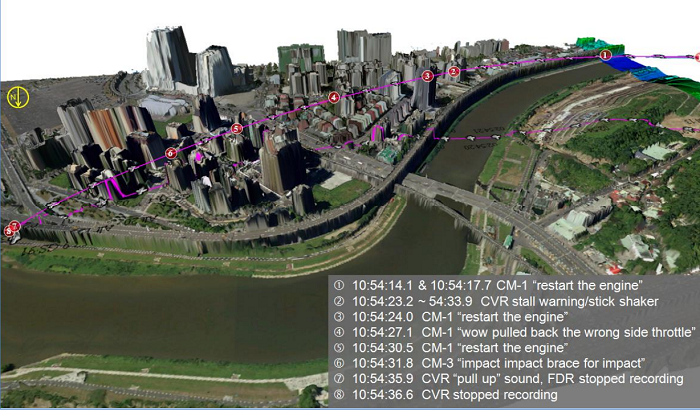 Both flight recording devices (FDR + CVR) have been located and recovered. 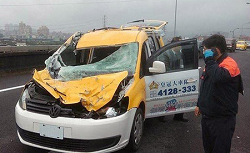 The cab driver fortunately received only minimal injuries. 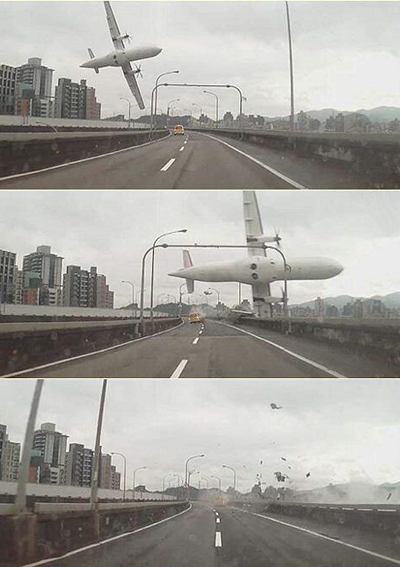 At the time of the accident, Taipei weather was overcast but there was no precipitation and the winds were calm. An urgent inspection of all other ATR-72s in Transasia´s fleet found no defects. 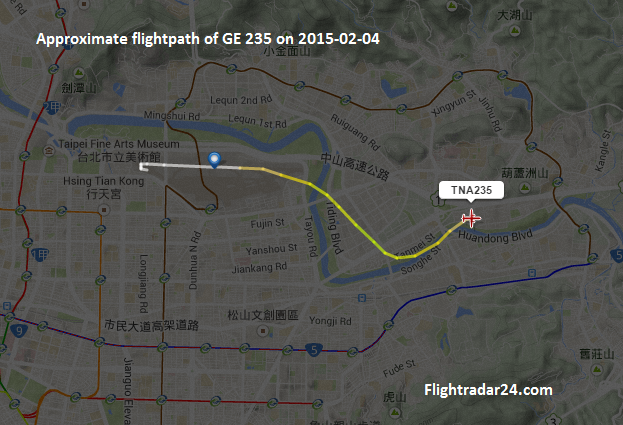 Taiwans Safety Council reported that both engines (PW 127M) produced little or no power at the moment of impact. Initial analysis of the CVR showed that despite a failure indication on engine #2, the pilots shut down the other engine #1 causing a total loss of foreward thrust. 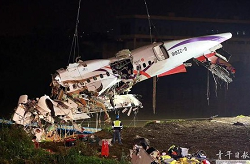 Transasia announced that all of their ATR pilots have to undergo special skill tests dealing with abnormal flying conditions and engine failures. 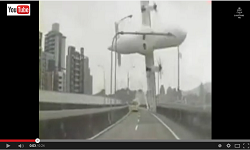 On Feb 10th Transasia conduct an ad-hoc re-examination of their pilots. It is noteworthy to tell that 29 out of 49 failed or missed the test and were suspended from active duty.